We live in a world that is full of wonders and magical secrets. Discover the art of travel and learn about the challenges of digital nomads and how to become a travel video creator! Let's connect on Facebook! Why? 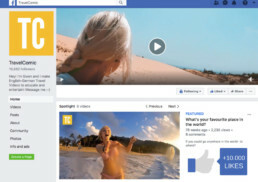 I think Facebook is the best platform to connect with people in a personal way (I can actually see who you are) and the best way to share ideas, stories and feedback! Hey! My name is Gwen and I make English-German travel videos to educate and entertain. 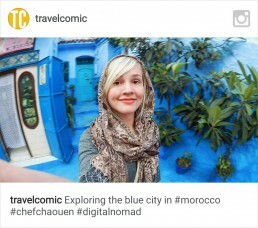 TravelComic is a platform where I share my videos with transcripts and blogposts about the journey of becoming a travel video creator.